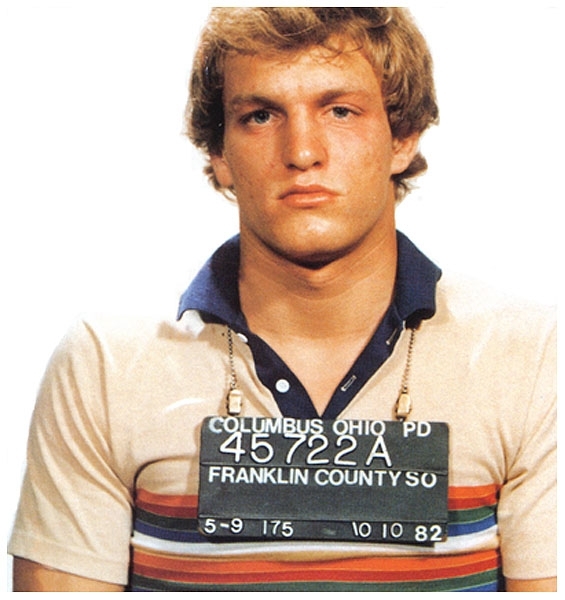 Actor Woody Harrelson was arrested by Columbus, Ohio police in October 1982 and charged with disturbing the peace (he was allegedly dancing in the middle of a busy road and tried to run away from the cops). The 'Cheers' star, 21 at the time, avoided jail time by paying a fine. Submitted by nIT2winIT on Wed, 2011-04-27 00:33. Submitted by gotmyionit on Fri, 2011-01-14 23:56. BET HE WISHED FOR THAT HAIR NOW!